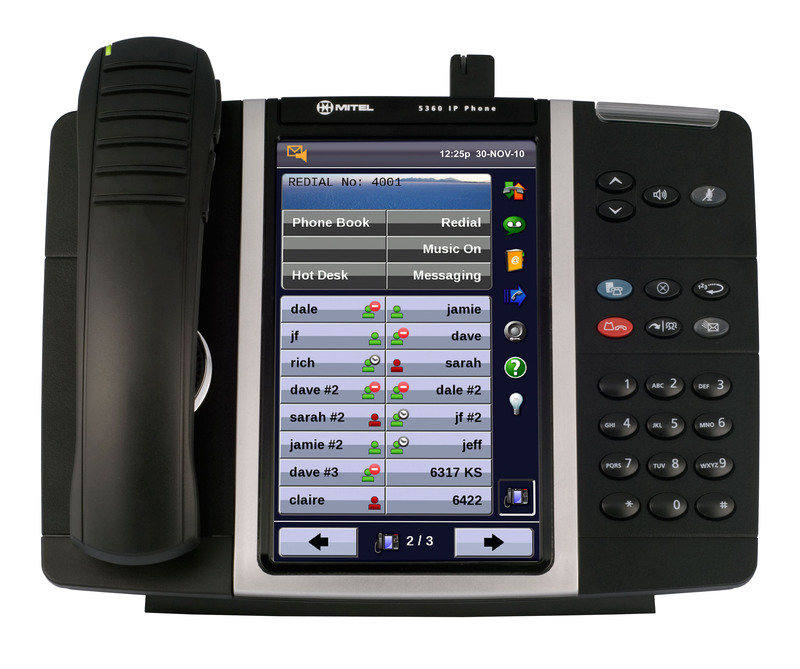 Combining head-turning modern style and intuitive functionality, the 5360's huge, color touchscreen makes it easy for you to access the most sophisticated functions of your Mitel IP phone system. With built-in apps including an address book, telephone programming GUI and Unified Communications presence with one-touch dialing for up to 50 coworkers, applications, speed dials and features, the 5360 is the most advanced office telephone on the market. 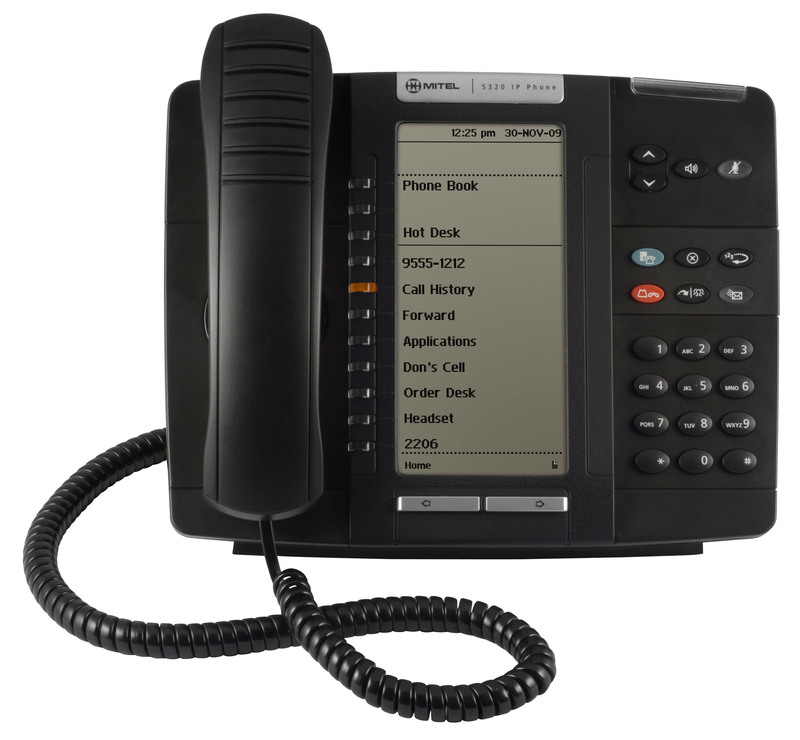 Supporting Gigabit ethernet, with a completely customizable, HTML-compliant display, and compatible with nearly the entire range of Mitel add-on modules, the Mitel Model 5360 provides the best communication experience an office telephone can offer. With a sleek interface, exceptional build quality and plenty of room for customization, the 5340's backlit, customizable, self-labeling display makes it easy to access the most sophisticated functions of your IP telephone system. 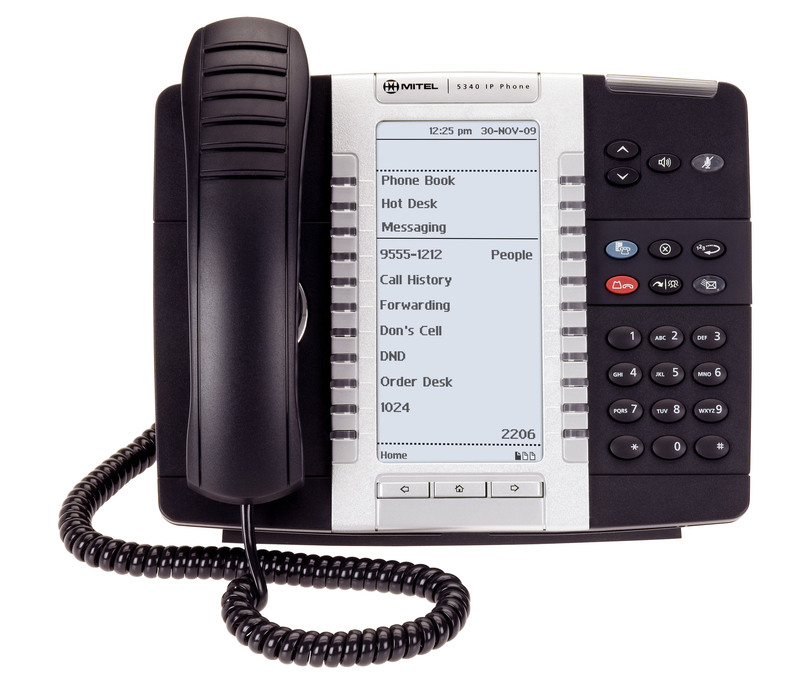 Featuring two columns of 11 buttons alongside the screen that can be customized across multiple virtual pages, the 5340e makes it easy for you to interact in amazing ways with your Mitel system and applications. 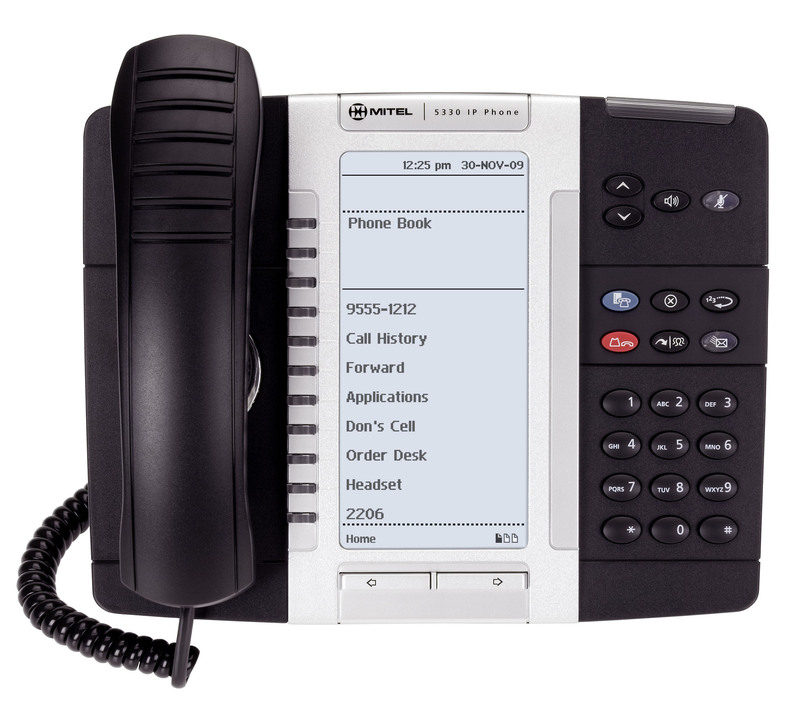 Compatible with all of the Mitel telephone add-on modules and software applications, the 5340e provides power users, executives, teleworkers and important personnel with Gigabit ethernet, an HTML-powered display, and the communications tools needed for the job. 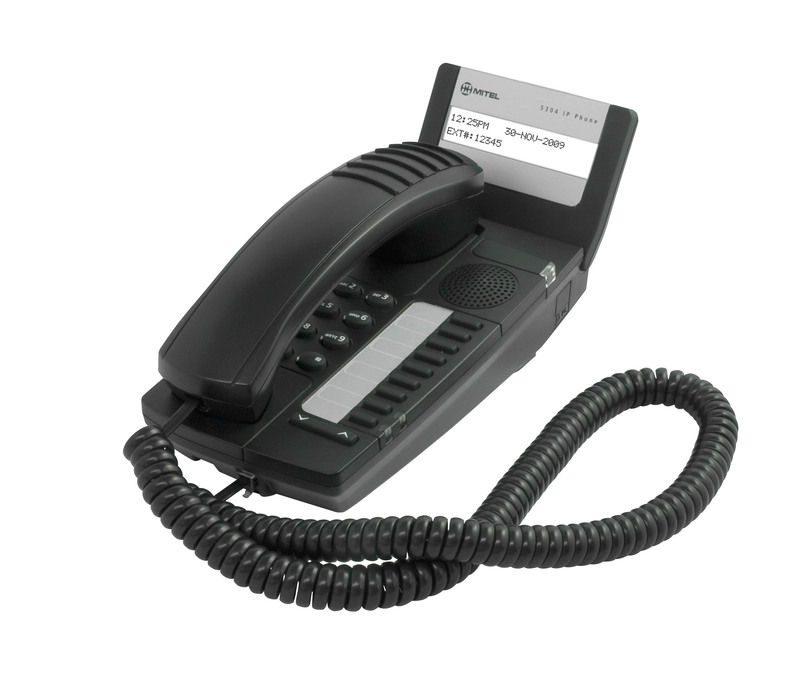 Similar in look, feel and sophistication to the 5340e, the Model 5330e IP Telephone also features a backlit, customizable, self-labeling display for fast access to features and people. Featuring a single column of 11 buttons alongside the screen that can be customized by users or admins across multiple virtual pages, the 5330e offers one-touch access to coworkers, partners, system and personal features, and applications you depend on. Compatible with all of the Mitel telephone add-on modules and software applications, the 5330e is an excellent communication tool for home-based workers, power users, professionals and managers. Providing the advantages of an HTML-powered, large telephone display with value pricing, the affordable, customizable self-labeling display telephone increases user productivity and simplifies IT administration of user telephones. Featuring a single column of 11 buttons alongside the screen on a single virtual page, the 5320e provides casual telephone users with the one-touch convenience users expect from a cutting-edge VoIP communications system. The 5320e features Gigabit ethernet, an HTML-powered display, compatibility with the 5610 Cordless SIP phone and Line Interface Module, and TeleWorker compatibility. 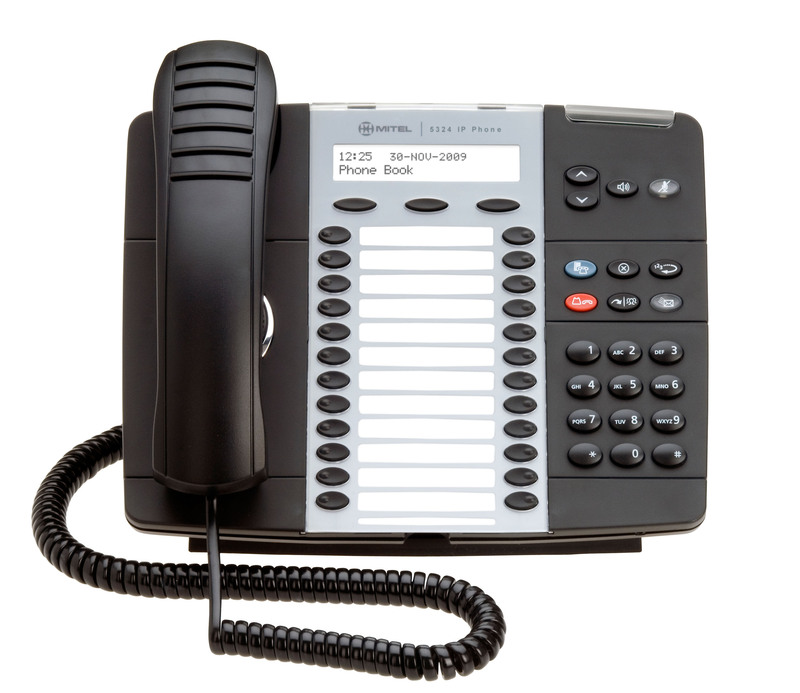 With a dual line, backlit LCD display, 24 customizable buttons, and 10 defined feature keys, the Model 5324 provides affordable, flexible IP Telephony for quick access to features and people. The 5324 IP phone has the same full duplex speakerphone, TeleWorker compatibility and amazing audio of more expensive models. System features and options are accessible via the buttons on the phone and adjacent the display. The 5324 can be used as a reception, operator or attendant console capacity also, as it is compatible with the 12, 48 and 96-key Personal Key Managers (PKMs). The phone supports 100Mb connections. 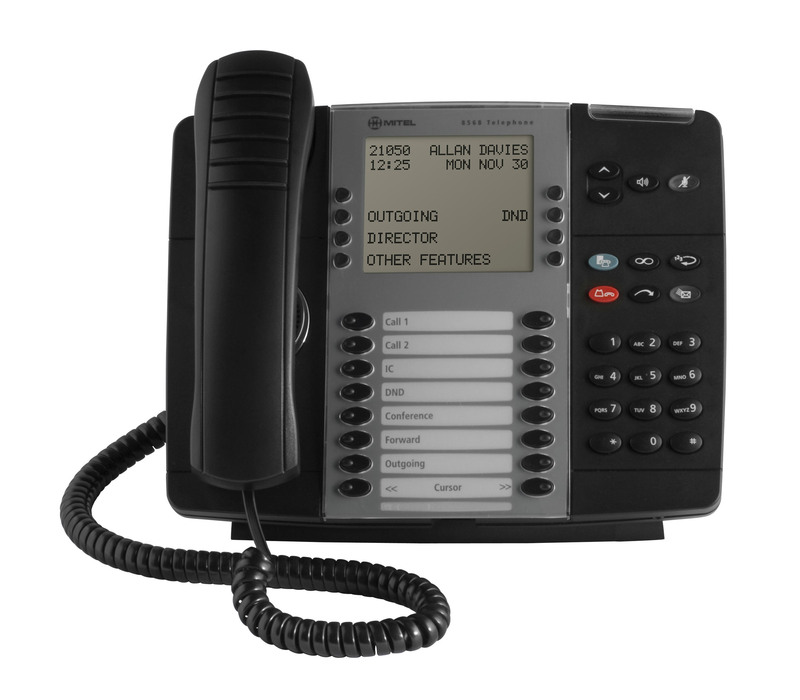 With a dual line, backlit LCD display, 12 customizable buttons, and 10 defined feature keys, the Model 5312 provides value-priced VoIP telephone with one-touch coworker, partner and Mitel feature access. As with the 5324, the 5312 IP phone has a full duplex speakerphone, TeleWorker compatibility and the trademark exceptional audio of Mitel's more costly models. 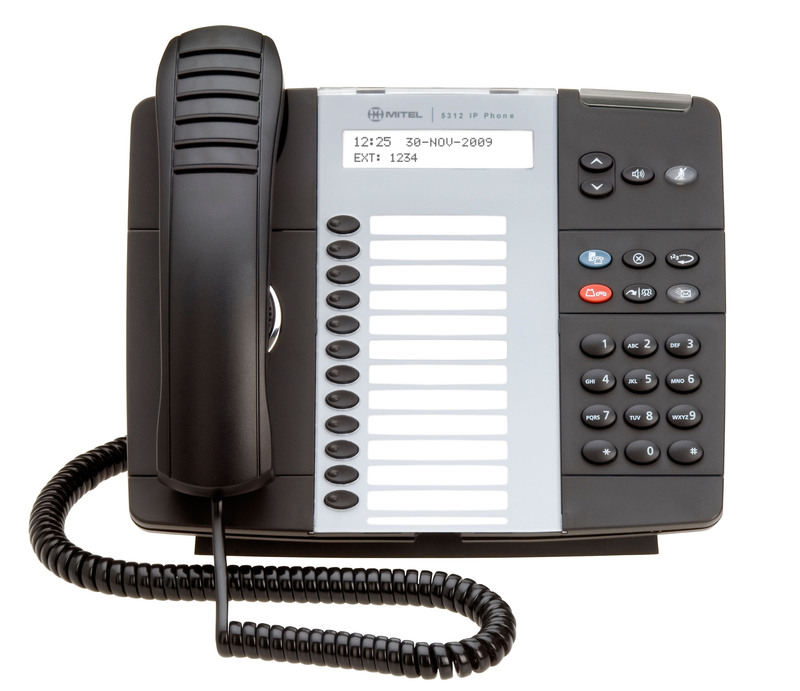 As with all of the other Mitel IP telephones, this affordable model supports both Mitel MiNet and SIP (Session Initiation Protocol) mode, and has a dedicated headset port for 3rd party headsets. The phone supports 100Mb connections. Perfect for low use areas, guest phones, courtesy phone applications, shared and communal spaces such as break rooms and warehouses, paging, and other specialty telephone uses, the Model 5304 gives you convenience and a tiny footprint without busting your budget. Complete with 8 programmable keys, a backlit, auto-dimming two line display and speaker to hear overhead paging, the 5304 IP Telephone is a great addition to any office. It includes a light for incoming call, direct page, and new voicemail indications. We can easily wall mount this device for convenience. Dedicated operators, attendants, receptionists, and front desk personnel can all dispatch calls quickly and efficiently with this IP-based Attendant Telephone. With customizable buttons, multiple interactive display menus and keys, multiple line and telephone appearance keys, and a sleek design, the 5540 boosts the productivity of staff that answer incoming calls for your office. Calls can be dispatched quickly, professionally and efficiently. At a glance, attendants see the status of up to 14 calls in the office at once. For customers in hospitality, the telephone via the Mitel system can use pre-canned integrations to the Mitel hospitality feature set or even integrate with Property Management System (PMS) functions such as check-in and check-out directly from this telephone. 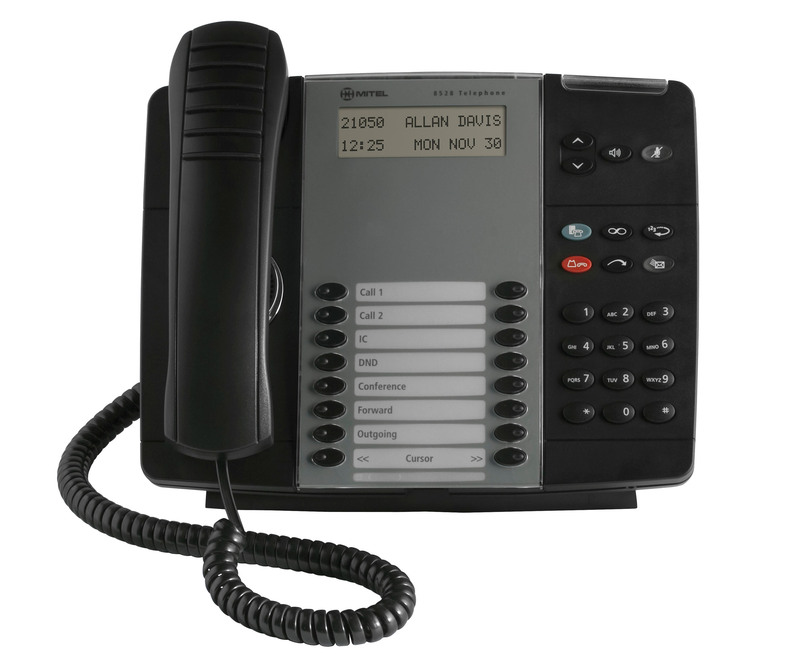 This model of digital telephone is a classic office phone, providing office workers with value and sophistication while taking advantage of existing Cat 3 cabling infrastructure. This model of phone has 16 programmable keys, a backlit dual line display and a speakerphone, and 10 dedicated feature keys for simple one-touch access to features. The phone has standard features such as a dedicated headset port and visual call and message indicator, as well as the ability for wall-mounting the telephone for common areas, paging and courtesy applications. Power users and heavy telephone users can take advantage of the context-driven 8568 Digital Telephone. 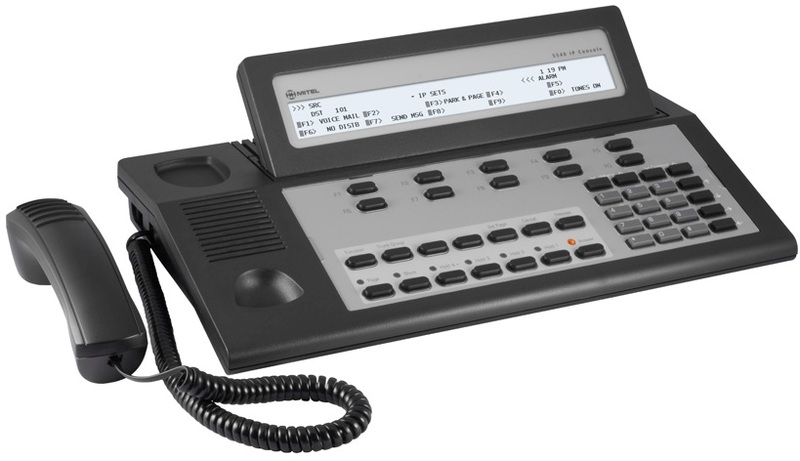 With 16 customizable buttons, 8 soft keys that allow users to interact with on-screen options for simple access to features and directories, and high quality speakerphone, the Model 8568 allows organizations to combine feature-rich IP handsets with existing telephone cabling. This model phone can be combined with the 12-, 48- and 96-button consoles for managers, assistants, contact center supervisors and receptionists to see presence and availability at a glance.